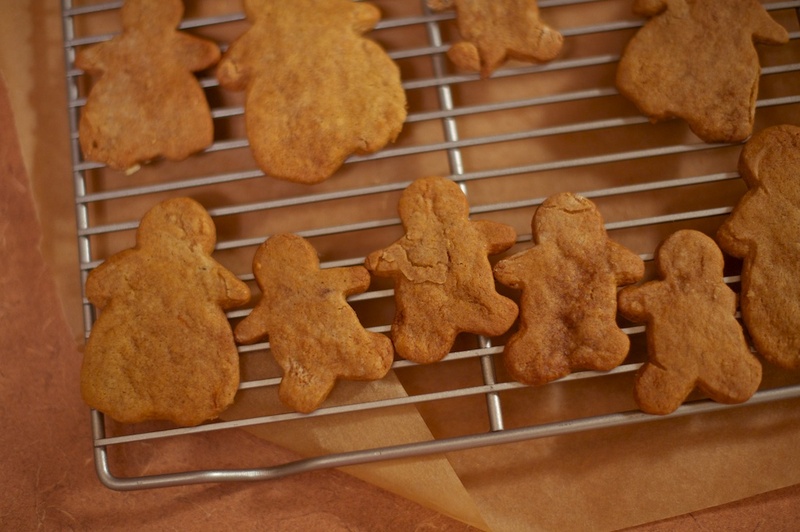 These gingerbread people are a motley crew. We (accidentally) made both overweight and extremely malnourished people, as well as legless people, headless people, and--when we started decorating--alien people. I'm confident that a preschool class could turn out better looking cookies than these. I'm sharing the recipe here because I don't want to change anything about how the cookies taste. Yes, I may be munching on a little man without a left foot right now, but as we all know, it's the inside that matters. And these cookies insides are the best: they're on the cusp of being too-gingery without crossing that line (a hard balance to achieve), crispy on the outside and moist on the inside, and just generally delicious. I used a recipe from the Nordic Bakery cookbook. 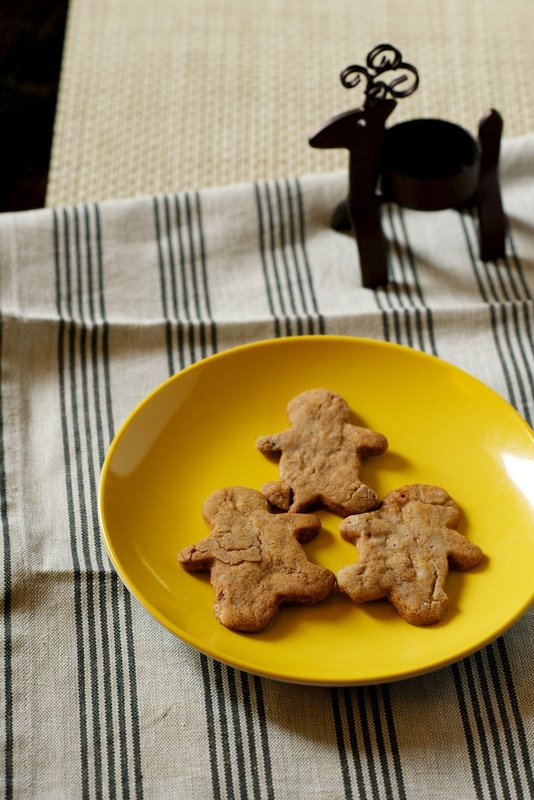 Because the cookies taste spectacular, the gingerbread people can blame their various ailments on my kitchen, not on the recipe. I floured the countertop, yet the dough still stuck. And while it's now December 20th, my kitchen still feels like a humid late September day. 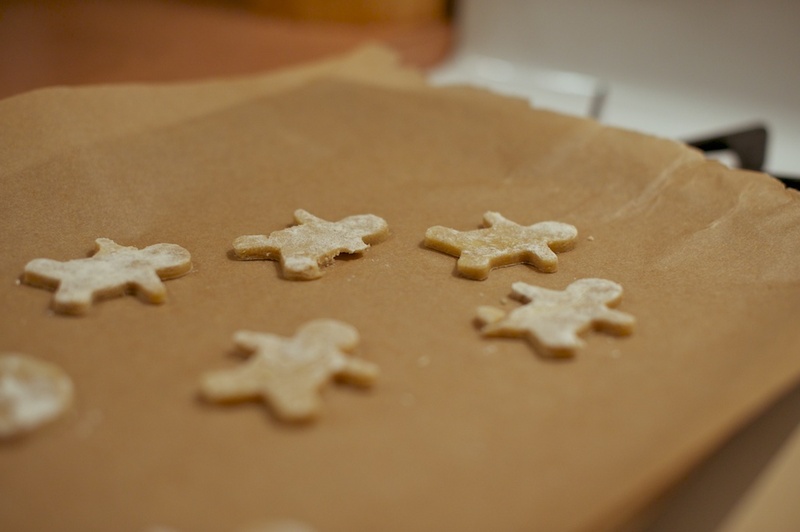 When we punched out the shapes, I recognized that the dough wasn't evenly distributed throughout the tiny ginger-bodies, but I feared that the longer the dough was in contact with the air, the more issues I'd have. 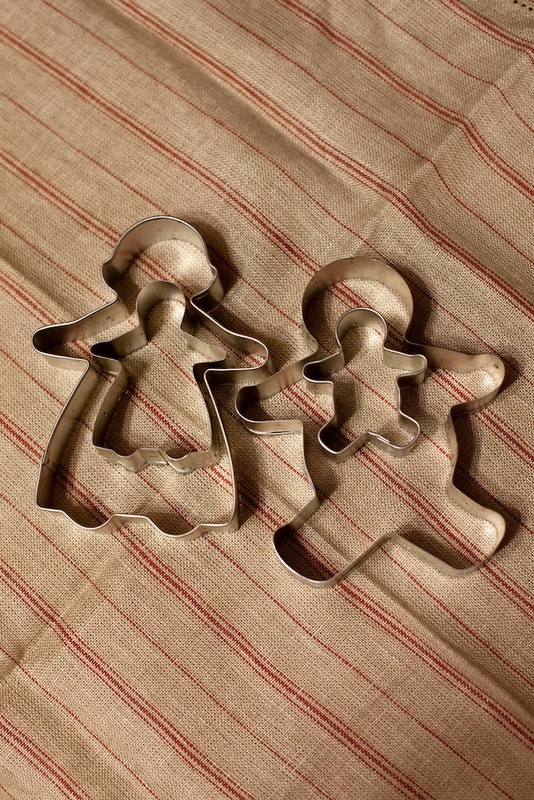 These are a cinch to make--and you can avoid making human shapes all together if you'd like, and just make gingerbread circles. 1) Put the butter and sugar in a mixing bowl and cream with a handheld whisk until pale and fluffy. Your butter will need to be extremely soft for this to work. Mine wasn't soft enough, so I briefly used the Kitchenaid. 2) Whisk in the golden syrup and egg. 3) In a separate bowl, mix together the flour, baking soda, and spices. When mixed, gently fold into the butter mixture to form a dough. Don't overmix! Roll into a ball, wrap in seran wrap, and refrigerate for at least an hour (overnight works too!). 4) Preheat the oven to 350. 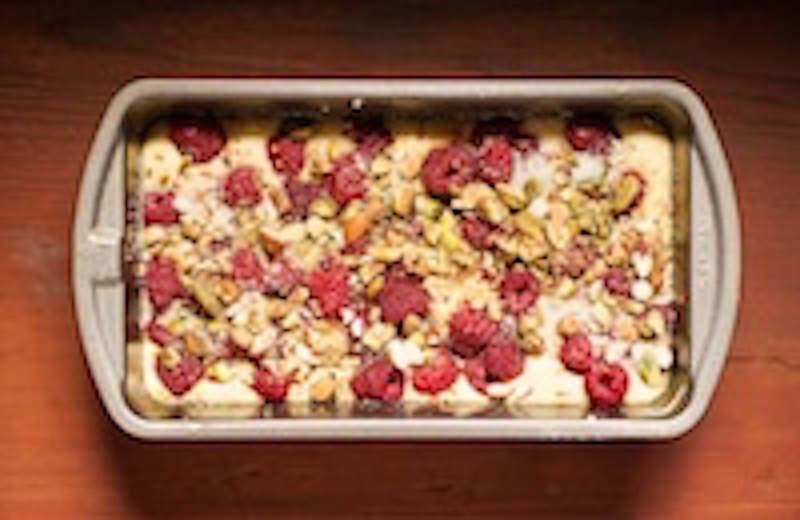 Prepare two baking sheets with parchment paper. 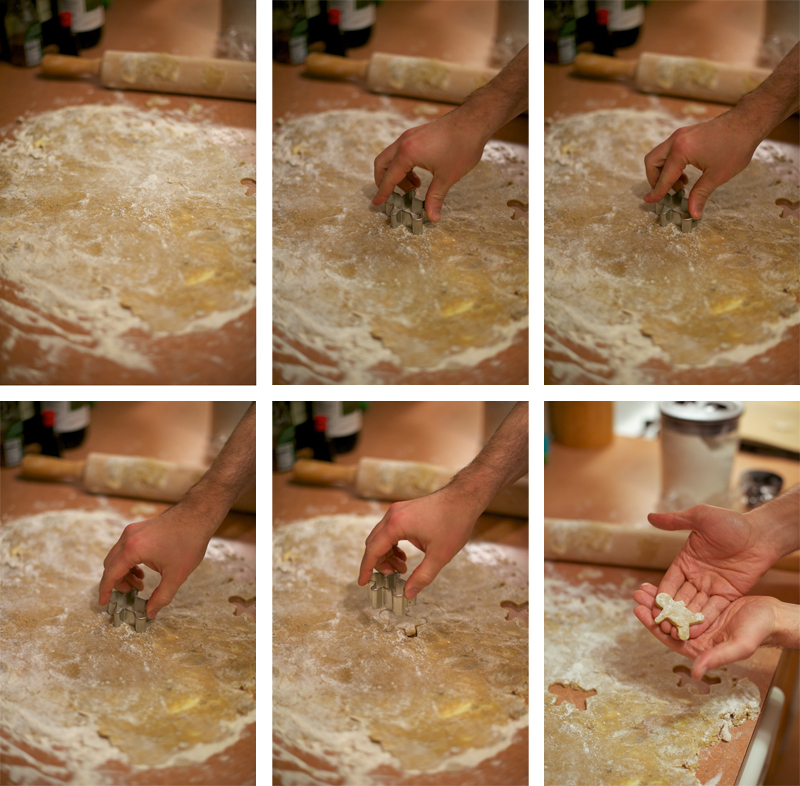 5) Roll the dough out on a lightly floured surface until about 1/6 inch thick. 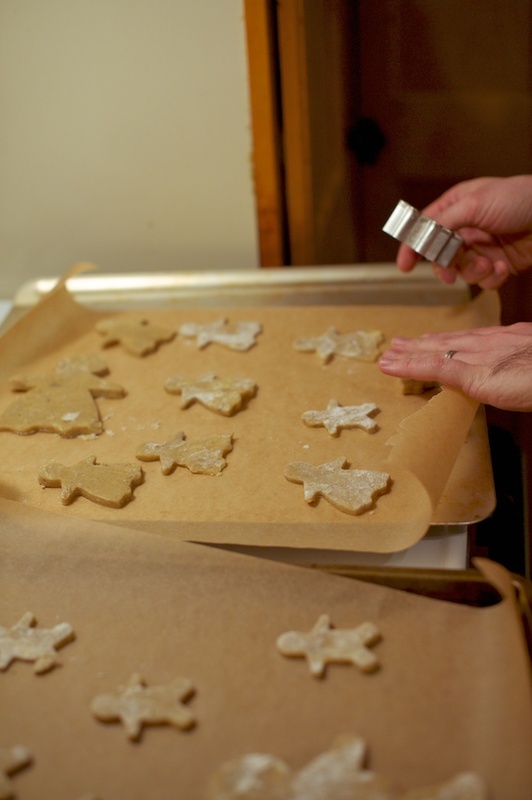 Use cookie cutters to stamp out shapes and arrange the shapes on baking trays, leaving space in between as they'll spread. 6) Bake for 8-10 minutes until brown. 7) Let cool slightly and then transfer to wire racks. Decorate if you desire. Enjoy!